She married Thomas Drew "Tella" Rickitts. Mollie was born at Jackson, Rankin County, Mississippi, on 4 July 1909. 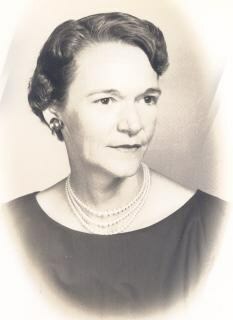 She died on 2 November 1985 at Peachtree City, Fayette County, Georgia, at age 76. She was buried after 2 November 1985 at Jackson, Hinds County, Mississippi. 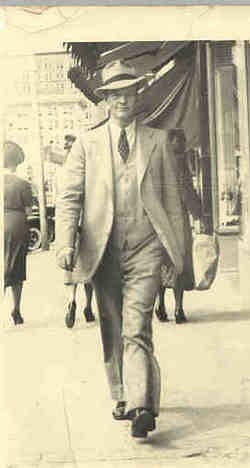 He married Mollie Elizabeth "Mattie" Tabb. Thomas was born at Jackson, Rankin County, Mississippi, on 8 August 1905. He died on 25 November 1975 at Jackson, Rankin County, Mississippi, at age 70. He was buried after 25 November 1975 at Jackson, Hinds County, Mississippi. [S931] Source: John Lang Tabb 143 34th Avenue S., Jacksonville Beach, FL 32250. E-mail dated 08 July 2002. [S933] Source: E-mail from Lou Ann Brondak (e-mail address) dated 29 June 02. [S936] Source: E-mail from Barbara Smith Hodsden (e-mail address) dated 21 October 02. [S956] Source: Letter from Oyer C. Morgan (Box 795, East Helena, MT 59635) dated 3 October 2002. [S939] Source: Letter written by Elizabeth Tabb Mitchell to Robert Mayo, Esq. Copied by S. Callie Wolfe, in 1886. Recopied by Barbara J. Wolfe Foran in 2001-2002. The letter is dated October 11th 185? from Springfield, Illinois. His body was interred at Shepherdstown, Jefferson County, Virginia, at Episcopal Churchyard.1 James died. James was born. 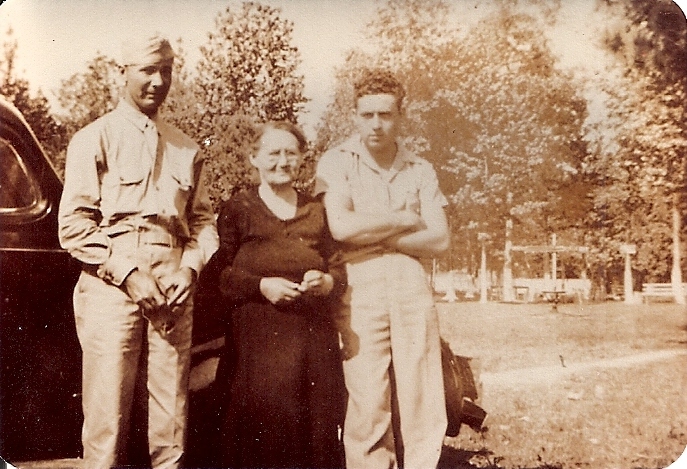 James was born at Cuthbert, Randolph County, Georgia, on 19 February 1921. He married Dorothy Mae Estelle Houghton at Lumpkin, Stewart County, Georgia, on 26 May 1944.1 James Rudolph Tabb died on 28 June 1978 at Muscogee, Georgia, at age 57. [S942] Source: E-mail from Victoria Catherine Alexich (Steffen) (e-mail address) dated 18 August 02. [S944] Source: E-mail from Victoria Catherine Alexich (Steffen) (e-mail address) dated 20 August 02. [S943] Source: E-mail from Victoria Catherine Alexich (Steffen) (e-mail address) dated 19 August 02. Roger was born on 22 June 1973.1 He died in February 2010 at age 36. James was born at Virginia on 6 August 1865.1 James died on 23 December 1937 at Charlottsville, Virginia, at age 72.1 He was buried after 23 December 1937 at Loudon Park Cemetery, Baltimore, Baltimore County, Maryland. [S946] Source: Roberta W. Iiams, 150 Sesame Street, Springboro, Ohio 45066-1073 (e-mail address) in a letter dated 19 August 02. [S947] Source: E-mail from Becky Dozier (e-mail address) dated 03 September 02. His body was interred at Alabama.1 (---?---) died. (---?---) was born. [S948] Source: E-mail from Kyle Smith (e-mail address) dated 07 September 02. [S949] Source: E-mail from Bill Tabb (e-mail address) dated 10 September 02.